It's Not Too Late to Register for #NABJ18! 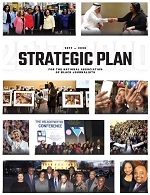 WASHINGTON, D.C. (July 2, 2018)-- The National Association of Black Journalists (NABJ) is pleased to announce a new promotion for the 2018 NABJ Convention and Career Fair in Detroit Aug. 1-5, 2018. Use the promo code #LastCall and receive $150 off your full registration to #NABJ18 in one of these categories: professional, media-related, alumni, emerging, academic or non-member. With over 100 workshops and training sessions available -- check out the list here about how 3,000 professionals, educators and students from across the media industry will gather at #NABJ18. 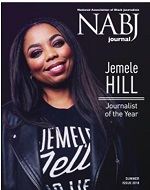 From the various trainings, to the Hall of Fame Luncheon, to the infamous Sports Task Force Jam, to the Salute to Excellence Awards, to the VIP appearances from Tyler Perry and Jemele Hill among others, #NABJ18 is the place to be in August! The #NABJ18Motor City 5K Run, Walk, Bike powered by FCA US takes place the morning of Saturday, Aug. 4. Post your prep and participation on social media using #NABJ5k and #NABJ18. Follow the NABJ 5K on social media: Facebook, Twitter and Instagram. Click here to register. Interest in #NABJ18 continues to mount. NABJ now has two overflow hotels for your convenience: the Greektown Casino-Hotel and MotorCity Casino Hotel. Find overflow hotel information here. Access the NABJ Roommate Bureau on Facebook to find a roomie to share lodging costs here. Students may apply to receive travel assistance via the Columbia University Graduate School of Journalism fellowship here. NABJ is pleased to offer a limited number of complimentary hardship registrations for #NABJ18 Convention.Apply here. Read 10 things to know about #NABJ18, including additional travel discount information. Stay connected and keep up with our host chapter, Detroit-NABJ, on Twitter here. Check out the latest #NABJ18 workshop offerings posted to date here. Register for NABJ's 2018 Convention and Career Fair today!